As I’ve often written in my blogs New Jersey’s unofficial Medicaid philosophy is delay, frustrate and deny. Most denial are vague, unclear and wrong but few people know what to do. A recent case outside New Jersey slammed the State and overruled their denial because the stated reasons for the denial were unconstitutional. Let’s take a look at this case. The state medical agency mailed the plaintiffs notice of its determination that the plaintiff had countable assets exceeding the federal and state mandated limits for Medicaid eligibility. This denial notice was representative of the standardized denial notices that the state mails to an applicant for coverage of long-term care services in a nursing facility, when the state has determined that the applicant has more countable assets than federal and state Medicaid law permits for eligibility. You have more countable assets than the state allows. You must spend $249,796.96 of your assets. You can spend the excess assets on your needs, but you cannot give them away. Plaintiff appealed and she filed a lawsuit. An explanation of the circumstances under which Medicaid is continued is a hearing is requested. 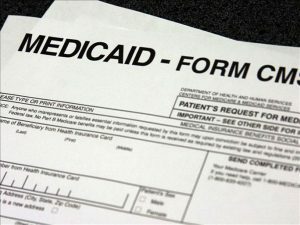 The referenced regulation applies “at the time the agency denies an individual’s claim for eligibility, benefits and services.” A Medicaid denial notice must be “timely and adequate” and must comply with Federal law. The Federal Medicaid notice provisions are enforceable against a State Medicaid agency. The Office’s standard form of notice denying benefits because of trust assets does not provide “a clear statement of the specific reasons supporting the intended action” and therefore violates 42 C.F.R.§431.210. A “reason” is “a statement offered in explanation or justification.” A generic and ambiguous statement falls short of meeting these definitions. Yet that is what the standard notice provides: a statement that the applicant has too many assets, coupled with a list of the assets without explanation why the Office counted the trust. The State argued that events occurring after the denial notice eventually give the applicant an understanding of the specific reasons why the Office denied the claim. First, and most simply, the argument ignores the plain language of the governing regulations that the agency must give the applicant “at the time the agency denies an individual’s claim for eligibility, benefits or services.” Notice given at a later time falls outside that clear command. The court offered further reasons for its decision. A clear statement of specific reasons promotes the statutory requirements that Medicaid applications be handled “with reasonable promptness. It reduces the prospect of delays and continues attributable to the applicant’s effort to learn the Office’s specific reasons. A clear and specific statement of reasons allows the applicant to save time and expense researching, investigating and preparing for arguments upon which the agency might have, but did not, rely. Self-represented persons undoubtedly benefit from an ability to focus upon and understand what actually led to the agency’s decision, not to mention the reduction in anxiety that uncertainly can cause. Applicants represented by counsel may save significant resources. Moneys spent trying to discern the agency’s reasons cannot be recovered by suing the agency. In any case, focus upon the agency’s real and stated reasons allows a better opportunity to prepare, without wasting money or diluting the applicant’s effort. Moreover, the regulations prevent the agency from using its superior knowledge to the detriment of the citizen. Having reviewed the application at the staff level, the Office undoubtedly knows the clear and specific reasons why it denied the application. There is no reason why it should withhold this information, except for unfair tactical advantage. Whether intentional or not, this tactic also operates as leverage in forcing a vulnerable applicant to negotiate a quick resolution even if the Office is in the wrong. The regulation prevents the government from disadvantaging its citizens in these ways. The court mandated a new notice to the appellant. When applicable, issue a manual notice for trusts established with an individual’s assets on or after 01/01/00. For such notices, specify using free-form text each reason the trust is countable (that is, why it does not meet the relevant exception(s) or requirements). In the notice, you must cite the applicable language or issue and the Program Operations Manual System (POMS) citation that contains the policy requirements on that subject. The directive adopts a sensible way to give a clear statement of the specific reasons for including a trust as countable assets; it only requires the agency to articulate specific determinations (reasons) that agency staff must already have made if they denied benefits rationally and conscientiously. To discuss your New Jersey Medicaid Application and Eligibility matter, please contact Fredrick P. Niemann, Esq. toll-free at (855) 376-5291 or email him at fniemann@hnlawfirm.com. Please ask us about our video conferencing consultations if you are unable to come to our office.